Cannibalism. It's the last, greatest taboo: the stuff of urban legends and ancient myths, airline crashes and Captain Cook. But while we might get a thrill at the thought of the black widow spider's gruesome mating habits or the tragic fate of the nineteenth-century Donner Party pioneers, today cannibalism belongs to history - or, at the very least, the realm of the weird, the rare and the very far away. Doesn't it? Here, zoologist Bill Schutt digs his teeth into the subject to find an answer that is as surprising as it is unsettling. From the plot of Psycho to the ritual of the Eucharist, cannibalism is woven into our history, our culture - even our medicine. And in the natural world, eating your own kind is everything from a survival strategy - practiced by polar bears and hamsters alike - to an evolutionary adaption like that found in sand tiger sharks, who, by the time they are born, will have eaten all but one of their siblings in the womb. 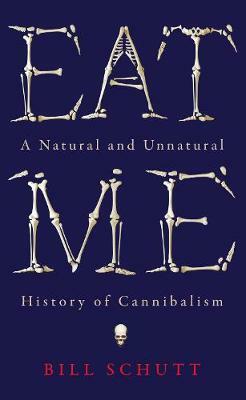 Dark, fascinating and endlessly curious, Eat Me delves into human and animal cannibalism to find a story of colonialism, religion, anthropology, dinosaurs, ancient humans and modern consequences, from the terrible 'laughing death' disease kuru to the BSE crisis. And - of course - our intrepid author tries it out for himself. 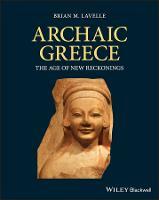 Published in partnership with Wellcome Collection. Wellcome Collection is a free museum and library that aims to challenge how we think and feel about health. Inspired by the medical objects and curiosities collected by Henry Wellcome, it connects science, medicine, life and art. Wellcome Collection exhibitions, events and books explore a diverse range of subjects, including consciousness, forensic medicine, emotions, sexology, identity and death. Wellcome Collection is part of Wellcome, a global charitable foundation that exists to improve health for everyone by helping great ideas to thrive, funding over 14,000 researchers and projects in more than 70 countries.